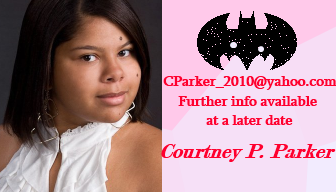 Hello everyone, I am Courtney Parker. I graduated from Paducah Tilghman in May 2010 and know I am a current student at Murray State University. My junior year in high school I had an internship with Larry Abel Designs. During my internship in Los Angeles, I learned how the company managed their financials, finding ways to get the clients ideas to a real life setting, and manage the other company in New York. I'm more of a peacemaker so seeing everyone somewhat satisfied and happy.